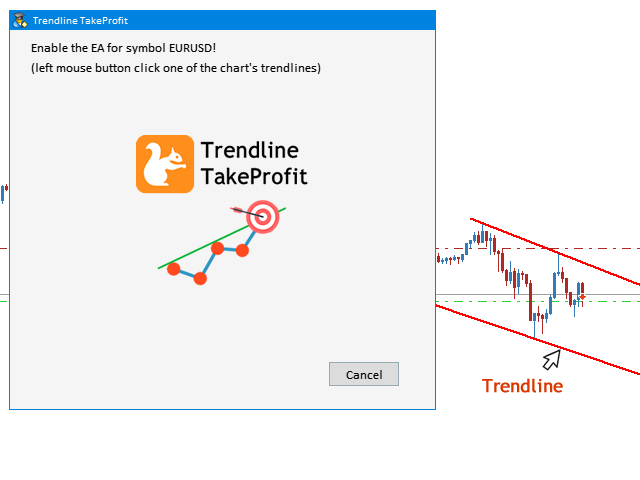 The Trendline TakeProfit EA for MT5 is a robot that real-time supervise your open position and close it once the price level touches (or is close to touch) a previously selected trendline. It's main advantage is that it allows you not to constantly watch your open position and wait for the proper time to close it. It automatically does this entire process and gives you time to spot new market opportunities. It can be attached to multiple charts and assist multiple open positions at the same time. Before enabling the EA you have to turn on the MetaTrader 5 Client Terminal "AutoTrading" (Ctrl+E) option. This allows EA to automatically close a position. Detailed information can be found here. The EA is reinitialized once the chart's period is changed (the EA needs to be re-enabled for the newly selected period). 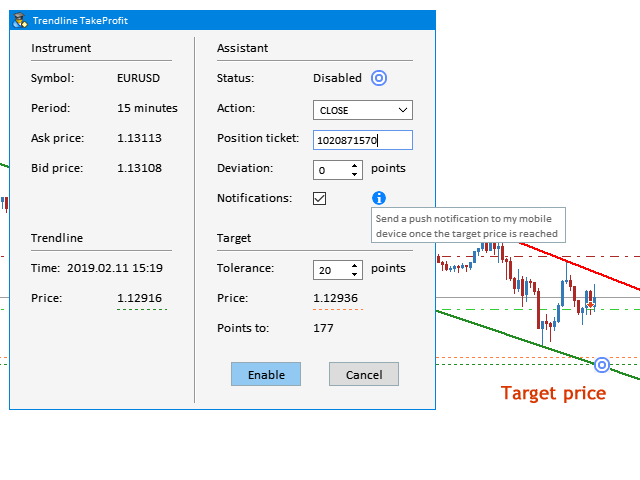 Before using the Notifications feature you have to setup your MetaTrader 5 Client Terminal and your MetaTrader 5 Android and /or MetaTrader 5 iPhone/iPad accordingly. Detailed information can be found here. 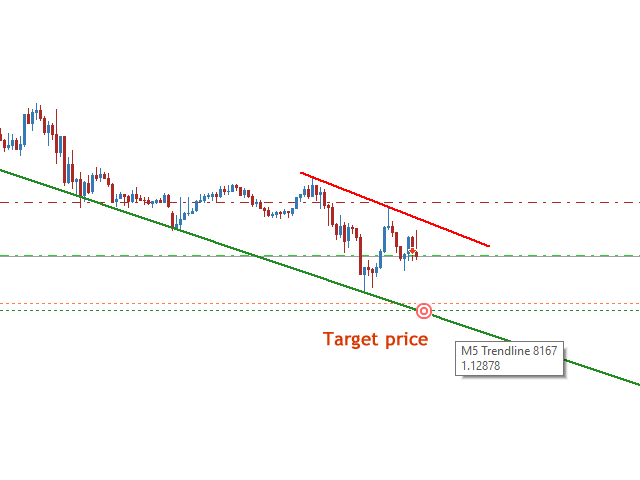 The Trendline and Target price levels evolve in time depending on the trendline's slope. 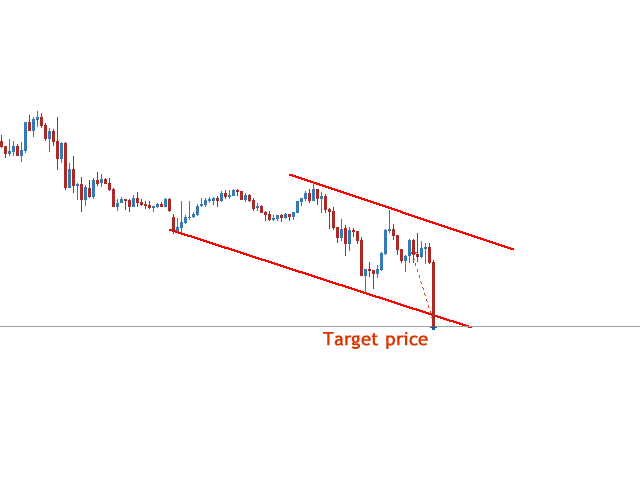 The Target price is marked on chart by a target icon. While the Assistant is disabled the target icon is blue. The icon turns red while the Assistant gets enabled. Wisely set a Target Tolerance. 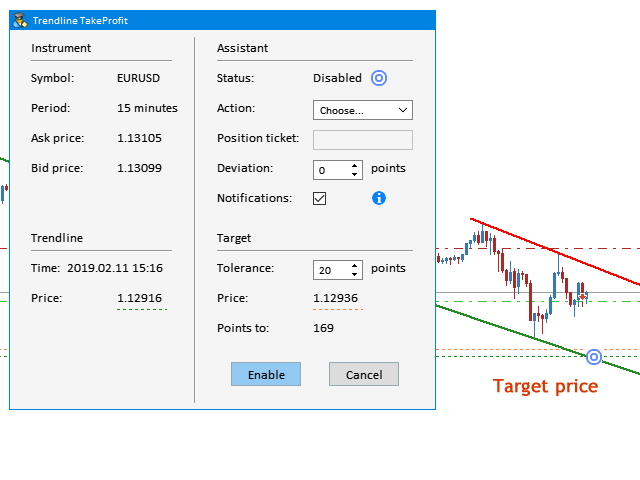 It allows you to target a more realistic take profit price level. 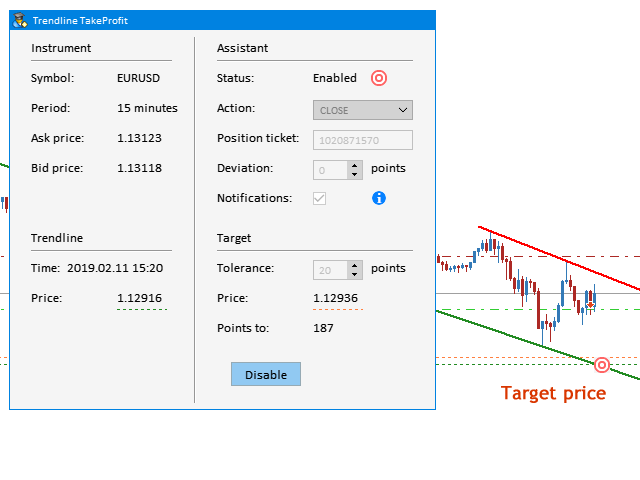 Bug fixed: The Target icon is now correctly recalculated and redraw on chart (when the Target price level evolves in time depending on the trendline's slope).